This tower display narrow cabinet is ideal for use in public environments, and features impact-resistant tempered-glass case and shelving. 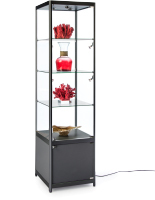 Each 72" tall fixture comes with three adjustable height shelves, a locking access door, and lockable base storage. 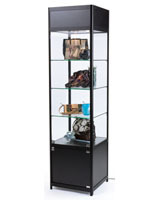 This black finish merchandise display narrow cabinet features aluminum framing with MDF base and canopy. 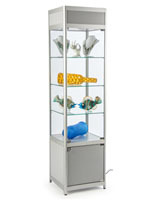 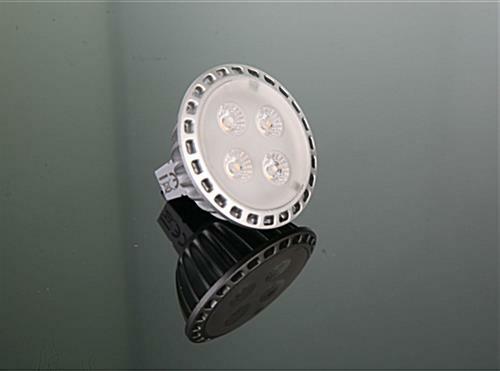 This sturdy 18" square fixture is a great way to attract customers to sale items, samples, exhibits, trophies or more. 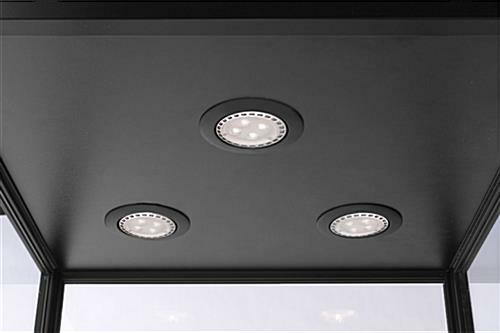 Each illuminated display narrow cabinet comes with three LED lights built into the top of the case. 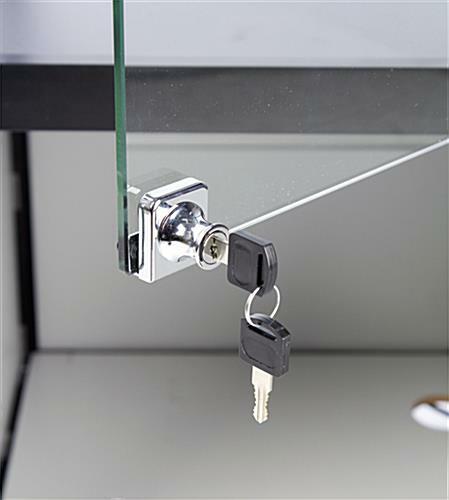 This type of sturdy, high visibilty case it a perfect choice for use in retail, commercial, professional, and institutional environments. 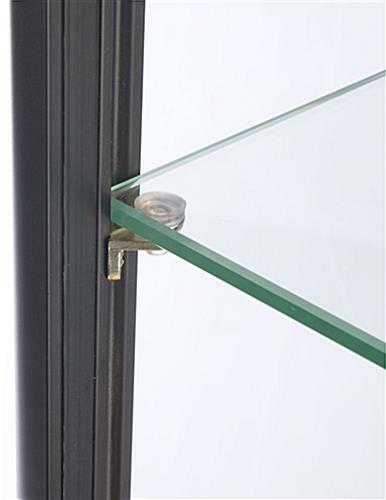 This black finish narrow cabinet's neutral finish is designed to complement a wide variety of business decor styles. 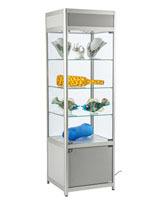 The three adjustable shelves offer maxiumum visibility and allow the sturdy merchandising fixture to accommodate many different size items. 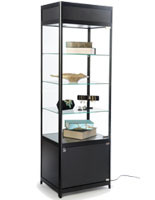 This 72" tall narrow cabinet's simple design is equally well suited to retail stores, commercial businesses, and public and private exhibits in museums or schools. 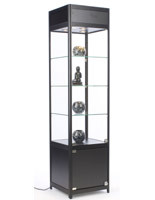 The black finish 3-shelf case ships unassembled for savings but is easily put together.